Horrors and Hilarity Collide as a Vivacious Young Visitor to Xanth Faces a Fate Far Worse than Death. Breanna, a beautiful young newcomer to the enchanted land of Zanth, must deal with a distressing dilemma. She has unwittingly attracted the affections of King Xeth, ruler of Xanth's Zombies, who yearns to make her Queen of the Undead! Her quest to preserve her innocence, and find her destiny, takes her on an exhilarating excursion packed with perils, puzzles, and piles of puns. 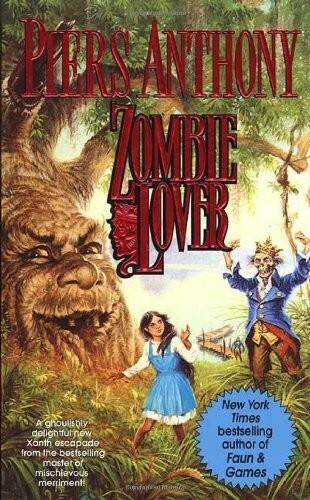 Zombie Lover will provide a profusion of macabre merriment for Xanth's many fans.